Get ready for another year of toys, video games, hobbies and cosplay as Hobbiworx brings you the 11th year of their annual TAGCOM toys and hobbies convention! "Come and join us on our 11th year. Hobby at Worx proudly present. 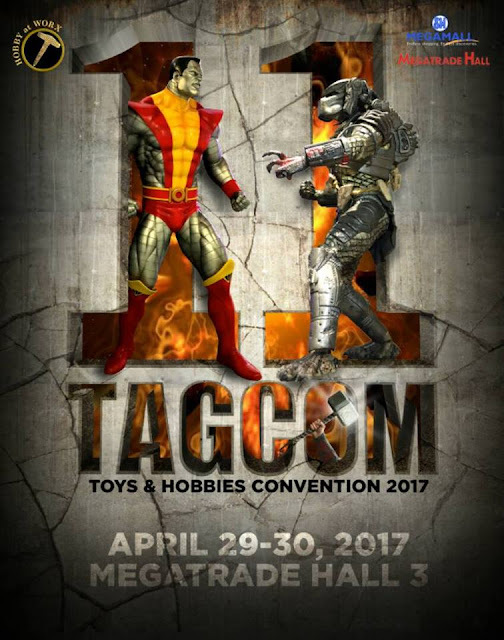 The Gathering 11th TAGCOM (Toys and Hobbies Convention) this April 29-30, 2017 at SM Megatrade Hall 3. This event is a two day festivity and gathering of collectors and toy enthusiasts. Over 50 booths of our toy sellers and retailers in the Metro. Series of activities that will sure be enjoye by hobbyist and collectors. Exciting line up of activities which includes (1) Collectors display and exhibit of life size statue (2) Toy auctions (3) Cosplay contest and many more suprises await you."